India is the third largest producer of leaf tobacco in the world, with an impressive and progressive profile in the global tobacco industry. Producing over 800 million kilos annually, varied geographical and agro-climatic conditions of the country facilitate the cultivation of 10 distinctive types of leaf, in about 15 States nationwide. Rich in flavor and texture, the styles include Flue-cured Virginia (FCV), Burley, Bidi, Hookah tobacco, Chewing tobaccos, Cigar-wrapper, Cheroot, Oriental, traditional burley (HDBRG), Dark fire cured, Sun cured country, FCV Rustica, and Cased burley. FCV, Burley and Oriental tobacco are the major export categories. Indian tobacco has attracted world attention, and BBM expansively engages in the process of developing and cultivating tobacco leaf. 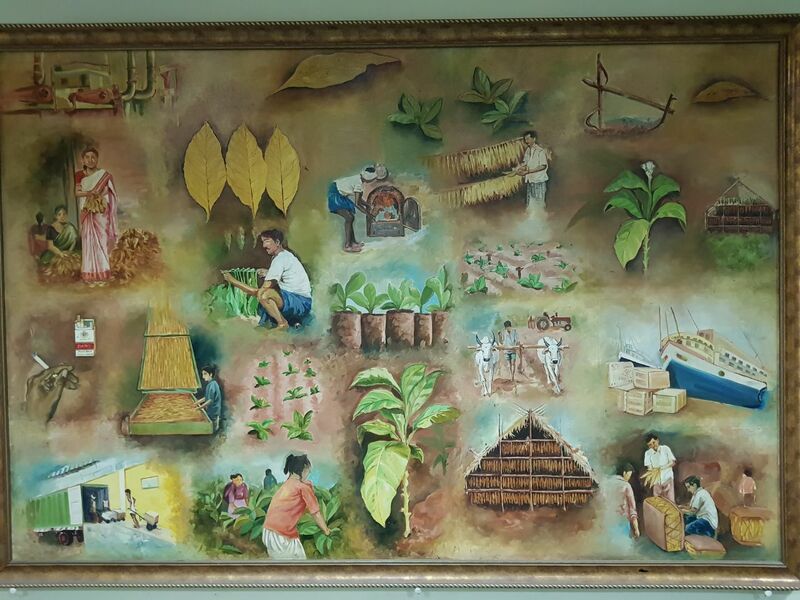 The Group, as part of its Strategic and Sustainable Tobacco Development Program, acquired 500 hectares of in-house tobacco cultivation area, where the companies work here tirelessly with farmers, directly - educating, informing, training and assisting them improve management of resources and grow leaf with the highest environmental standards, employing some of the most modern agronomic technologies. And best practices that promote high ethical norms. Keen attention to the soil composition, propagation of seed and seedlings, cultivation and harvesting methods form a vital part of BBM's integrated farming strategy. BBM has developed committed field demonstration units in Andhra Pradesh and Karnataka, in the three major growing areas, of Hunsur (Karnataka), Aswaraopet (NLS Area), and Dubagunta (SLS area), creating awareness among local growers on the latest techniques approved by the Central Tobacco Research Institute ensuring more consistent, superior variety leaf production, as well as post-harvest, handling, curing and grading mechanisms. BBM's R&D Division together with the dynamic Agricultural Extension activities pursued by the Group has substantially contributed to produce leaf tobacco that suits different end-uses. Besides growing, leaf is sourced globally by a competent network of leaf purchasing, handling and classifying teams, who have more than two decades of hands-on expertise. Tobacco leaf undergoes a range of transformations from the crop under the farmer to the end-user. 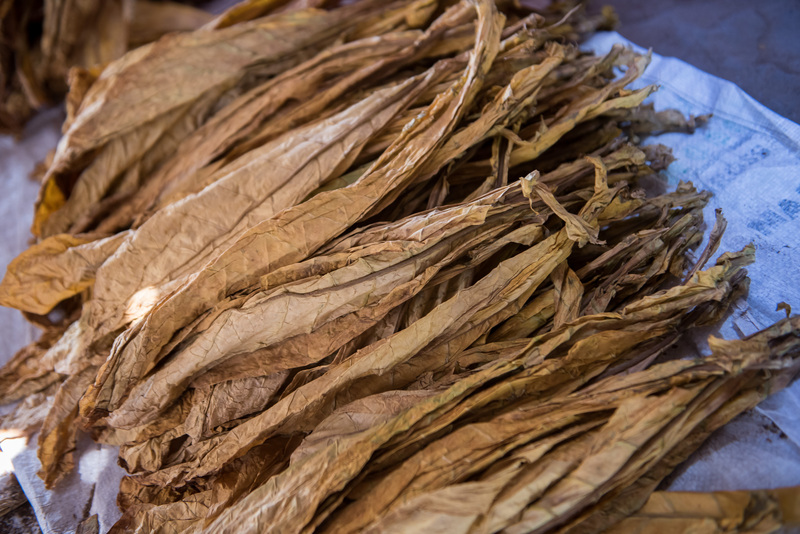 Each is critical in ensuring the best tobacco reaches the customer. Sound agricultural practices incorporating environmental criteria and an approach with traceability at the core, the Group guarantees superior, chemical-and residue free leaf. Post harvest, the tobacco leaf is cured to achieve the desired attributes, color and texture. 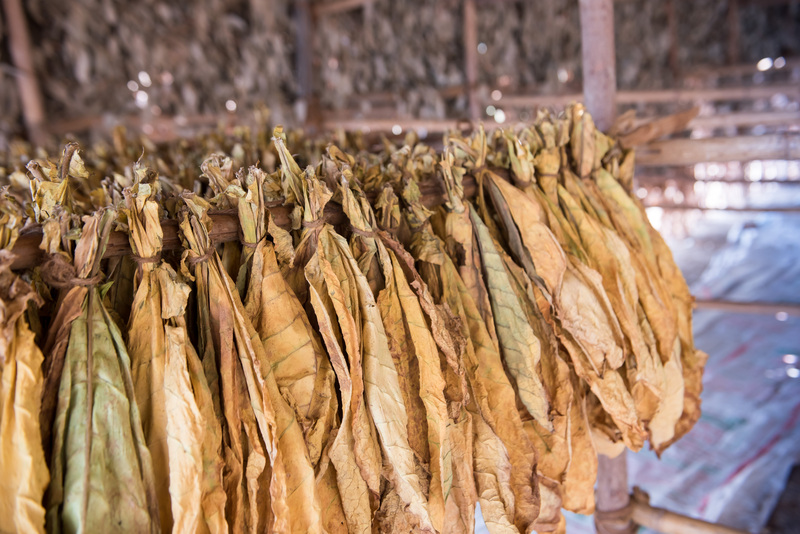 Curing or removal of moisture from the leaf, is a fundamental factor in giving tobacco its flavor and aroma, determining its appearance and character. Readying it for the market. 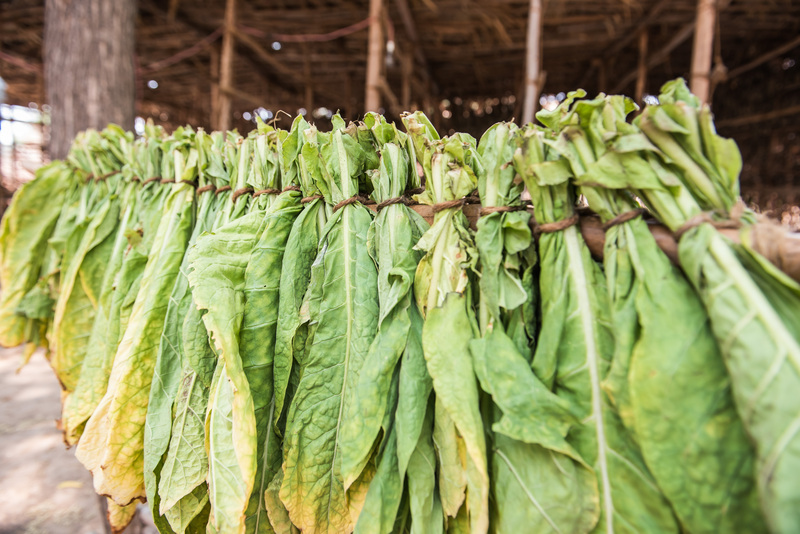 Drying or curing is accomplished by four basic methods which vary with the type of tobacco. Air curing - leaf is hung in well-ventilated barns and allowed to dry over a period of time. Cigar and Burley tobaccos are air cured. Flue curing - heat-curing the tobacco with flues pipes without exposing it to smoke, gradually raising the temperature over the course of the process. Virginia leaf is Flue cured. Sun curing - drying out in the sun. Oriental tobaccos are sun dried. Fire Cured - Tobacco treated with continuous or intermittent low smolders. Pipe tobacco, chewing tobacco, and snuff are fire cured. Grading or sorting of cured leaf into lots is one of the most important elements for the manufacturing purpose - homogeneously categorized as per the plant position, styles and external appearance as per the International Grade Standards. Leaf is threshed to separate the lamina and the stem.BBM's plants at Karedu in Ongole and Pothur in Guntur, perform the core operations of threshing, re-drying and packing. Strict parameters of processing are constantly controlled to assure the most excellent possible results using two methods - Coresta and Philip Morris.